Eating the old fashioned way. Our homegrown vegetable haul. Plot goodies. Eating the old fashioned way. 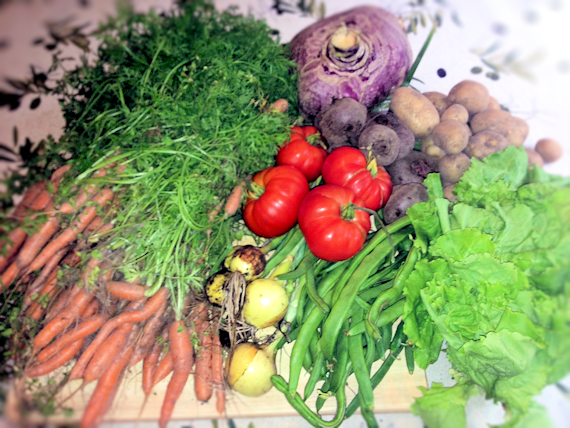 Our recent homegrown vegetable haul. 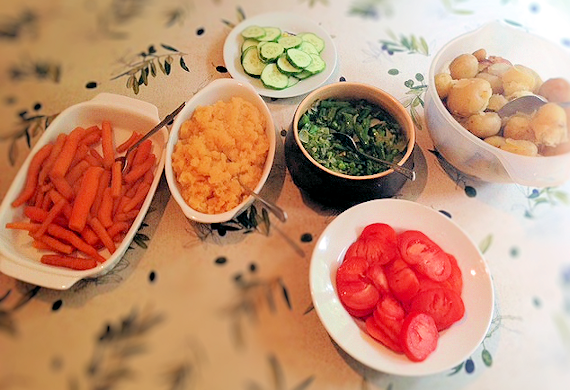 Last Sunday, we had the pleasure of eating lots and lots of green vegetables with our evening meal. Every last one of them had been grown in our plot and were prepared and cooked for our Sunday Lunch. The pictures are not the best as it was really dull and not the best light to take pix, but you get the general idea. We had beetroot, carrots, red and white potatoes, onions, green beans, lettuce, turnip and fresh peas. 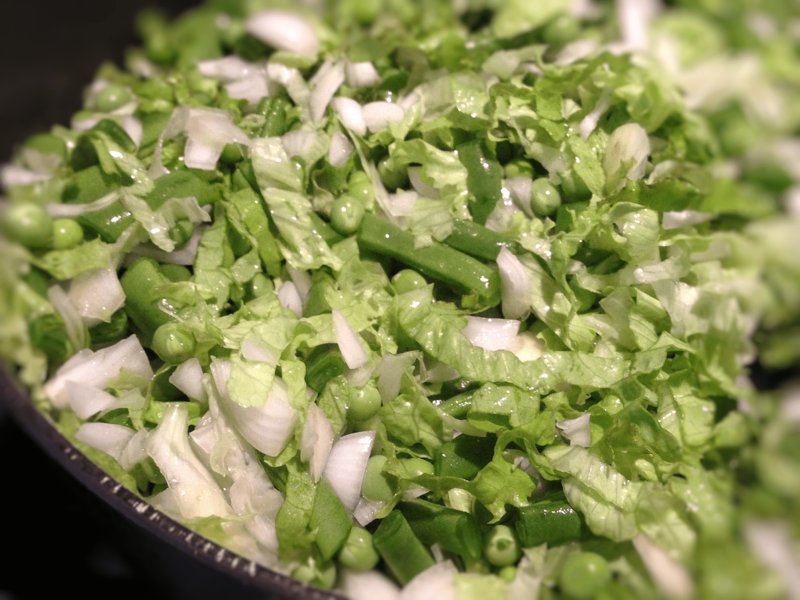 I lightly stir fried the onions with the lettuce chopped up small and the green beans. 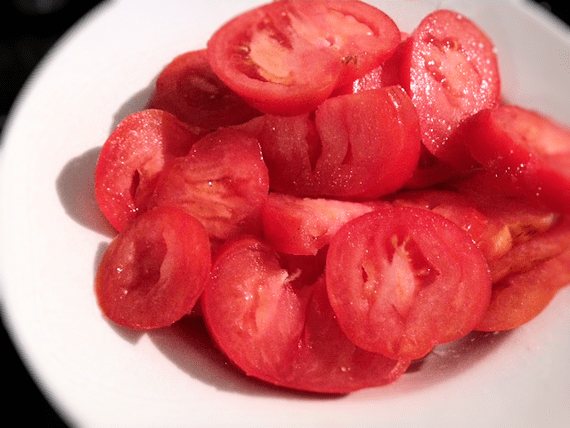 Tomatoes were just sliced and tasted awesome. 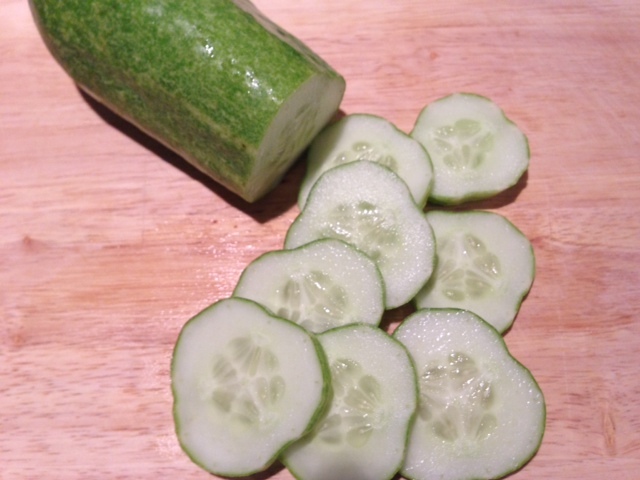 Sliced cucumber didn’t last long with eldest on the go. The carrots I steamed and the potatoes just plain boiled although their skins shed slightly, but it didn’t change the fact that they all tasted completely awesome at the table. The picture is rubbish, but you get a good feeling for just how much veg was cooked. We’ve had to start pulling up young veg as the plot raiders have been out in force and seem to be stealing to order. Some plot owners have lost whole crops of some veg and the thieves even cut the tops off some carrots and put the tops back in the ground to make it look like they were still there. It looks like they are stolen to sell at some market or in some community somewhere on Sundays, as most veg seems to sadly disappear on a Saturday night. We’ll never manage to grow prized and huge veggies with pulling them out young, but what we do get tastes amazing.